One of the major decisions prospective home buyers face is whether to buy an existing home or build a new home. Buying and building each have advantages, and the decision to buy or build is largely dependent on the buyer’s timeframe and budget. With the right team of real estate professionals, moving into an existing home can take as little as two months. 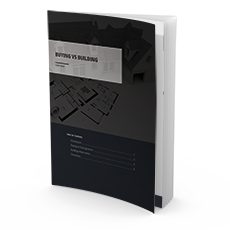 Building a new home involves several extra steps including locating and buying the lot. Moving into an existing home is usually the less expensive option. According to the National Association of Home Builders, as of February 2016 the median price of a new home in the United States was $301,400, while the median price of an existing home was $212,300. Other costs that accompany the purchase of a newly built home include the cost of the land, cost of builders, and even the cost of renting while the buyer waits for the new home to be built. When building a new home the buyer is able to get the exact design that they want. Existing homes tend to be smaller and older than new homes. In 1979, the median size of a newly constructed home was 1645 square feet. In 2014, the median size of a new home was up to 2453 square feet. Approximately 2/3 of owner-occupied homes in the U.S. were built before 1980, with 40% built before 1970. Homes constructed after 2000 account for just 17% of the owner-occupied homes. The decision to build a new home or buy an existing home depends on the circumstances.